After a century during which two resources – petrol and finance – have been major contributors to the radical transformation of the relationships between man and nature, we now find ourselves confronted with the physical limits of unprecedented economic growth associated with social and environmental dumping. The time has come for us to reconsider our relationships to the problematique of resources as a whole as well as our relationships to public goods and services which the market cannot provide : universal access to common goods and fundamental rights (education, health, quality of life, access to knowledge / culture, software, social networks etc). In this approach, scientists, in the broadest sense, are well placed to signpost the way since through the very nature of their profession they tend to think on a long-term basis and cross the borders between disciplines. 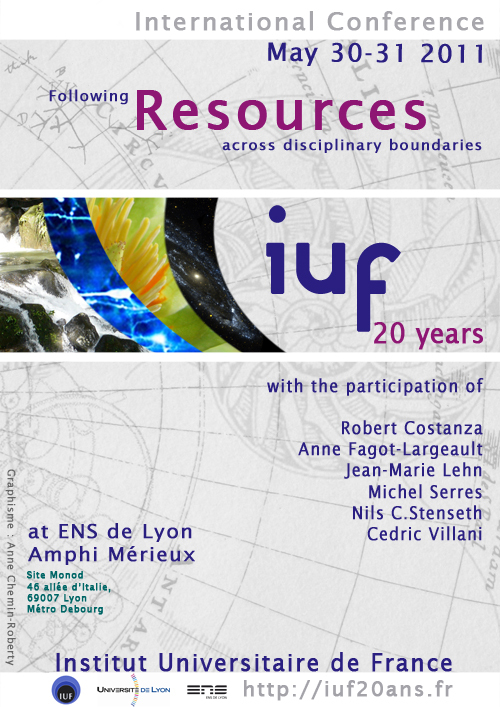 The new ENS de Lyon intends to make a strong commitment to developing and exploiting its interdisciplinary potential. Michel Serres, “La 3e révolution sur la Terre ou le non-dit du Monde”, La Recherche / Le Monde, Nov-Dec 2009 Hors Série pp. 94-98 (Forum Science, Recherche et Société, 20 June, Collège de France) and Temps des crises, 2009, Le Pommier. “Our culture and history were born (…) taking the World less and less into consideration. (…) We have shaped the World like an object, with our demography, our appropriations, ploughing and grazing, our techniques, which in certain dimensions damage it, and practices born from our theories. Joseph E. Stiglitz, Making globalization work, WW Norton, New York, 2007. “[…] Wall Street’s perspective, which is often short-sighted, is being recognized as being antithetical to development, which requires long-term thinking and planning” (Preface, p. xv of the paperback edition).